Super Bowl XLVII not only featured the Ravens against the 49ers, but brothers, John and Jim Harbaugh, who were head coach of the teams respectively. And it seemed it was older brother John's Baltimore Ravens who were more comfortable in their big game surroundings early. On their first drive, Baltimore took a 7-0 lead as quarterback and eventual game MVP, Joe Flacco found Anquan Boldin in the end zone from 13 yards away. Although the 49ers would reply with a field goal, two more Baltimore touchdowns advanced the Ravens' lead to 21-3, and 21-6 at halftime. The hole got even deeper for San Francisco in the second half as Jacoby Jones raced 108 yards to the end zone with the opening kickoff and pushed the Ravens further in front, 28-6. 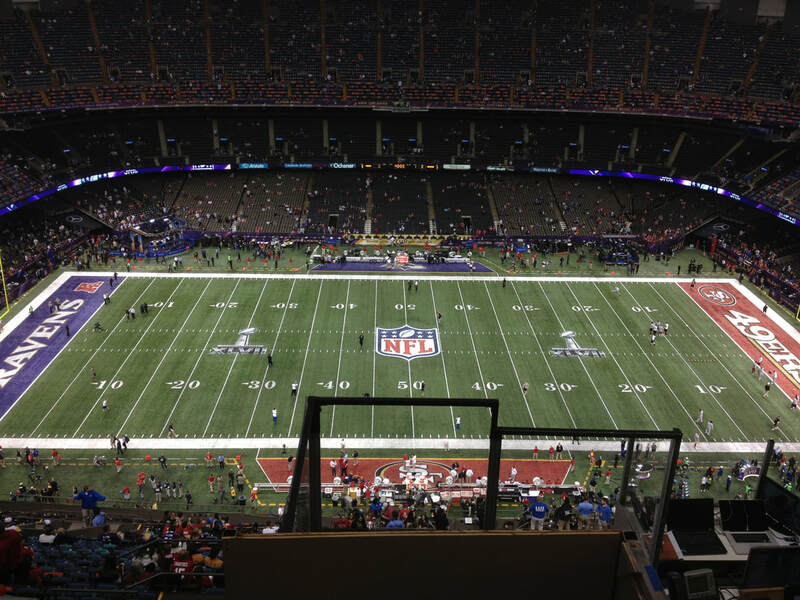 On San Francisco's next drive, however, half the lights went out in the Superdome. This led to a delay of thirty-four minutes before power was restored. San Francisco, seemingly rejuvenated following the extended break, began a comeback attempt. They would score seventeen unanswered points pulling themselves back into the contest 28-23 as the teams entered the final period. 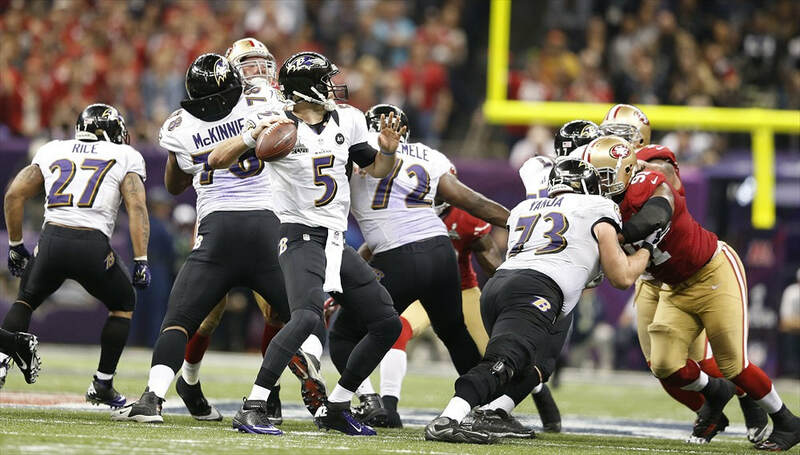 The Ravens stretched their lead to eight points with a Justin Tucker field goal, but the 49ers answered with a 15-yard scramble from rookie quarterback, Colin Kaepernick. 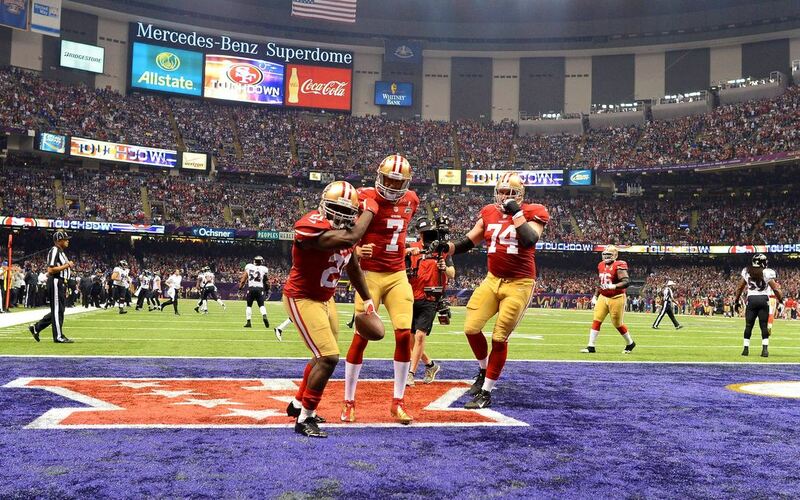 The 2-point conversion, however, was no good, and the 49ers still trailed by two points, 31-29. The Ravens stretched the lead back to five points with a final field goal, and despite San Francisco being awarded two points on a safety late in the game, the final score would read 34-31 in the Baltimore Ravens favor. Super Bowl XLVII was not only famous for the two Harbaugh brothers coaching their respective teams against each other. 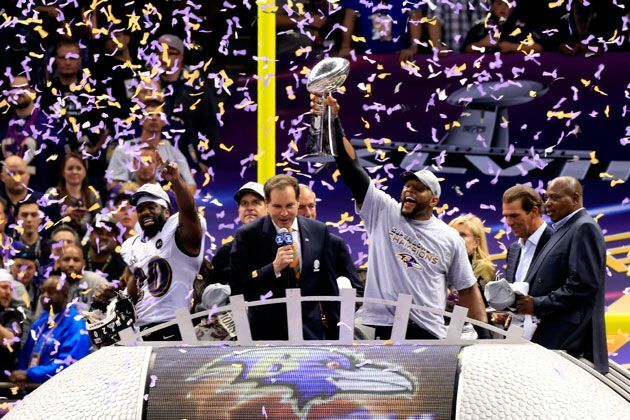 The contest was also the final game of Hall of Fame linebacker, Ray Lewis. 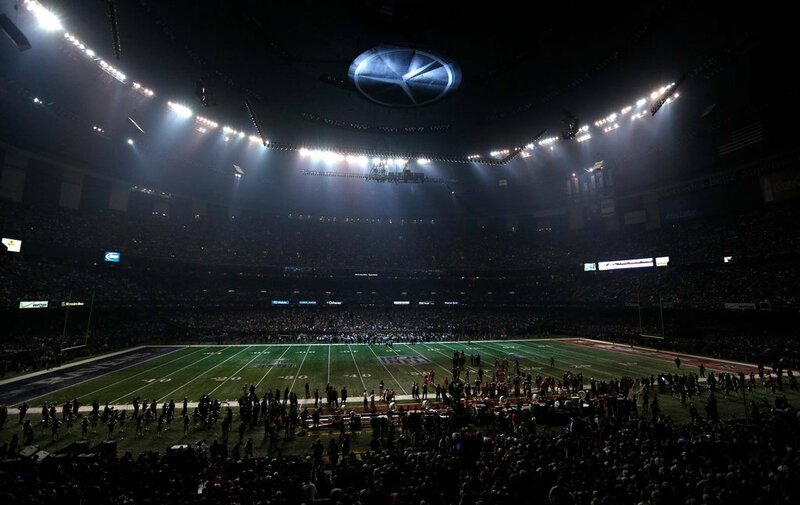 Shortly after the third quarter began, there was a power outage in the stadium which shut down around half of the stadium lights. 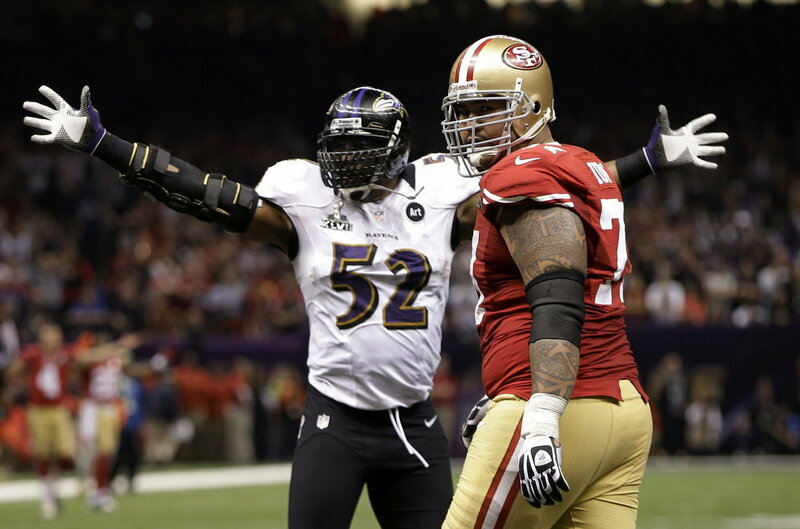 Interestingly, at the time the blackout happened, the Ravens were in complete control of the game. 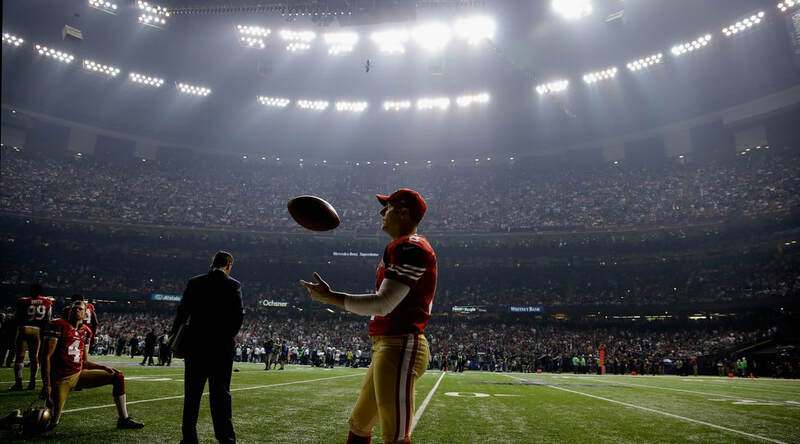 Upon the return to action, the 49ers began to come back. The whole incident was subject to some debate afterwards - you can read about this a little further here.